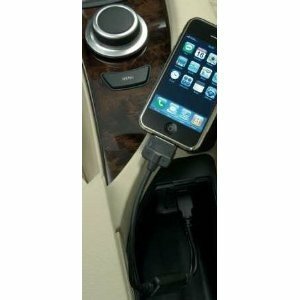 Work with any BMW model with a USB and or headphone jack in console (Series 1/Series 3/Series5/X5/X6) iPod/iPhone Male connector to AUX and USB connectors, Compatible with the iDRIVE system, Cable is also compatible with a Mini Cooper Easily connect your iPod or iPhone to the radio in your BMW. 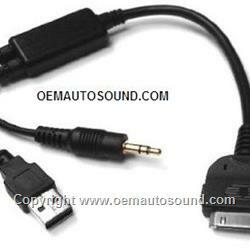 This cable provides great convenience by allowing data transfer for iPod/iPhone users. This cable also features both a USB and Headphone jack to charge unit while in use.